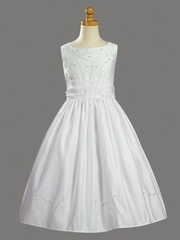 This dress is beautiful with delicate detail on the front. 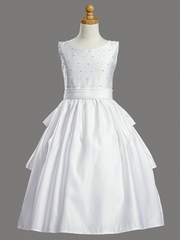 It does not photograph nearly as pretty as it is in person. 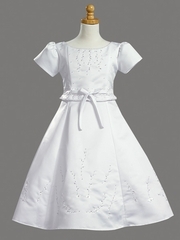 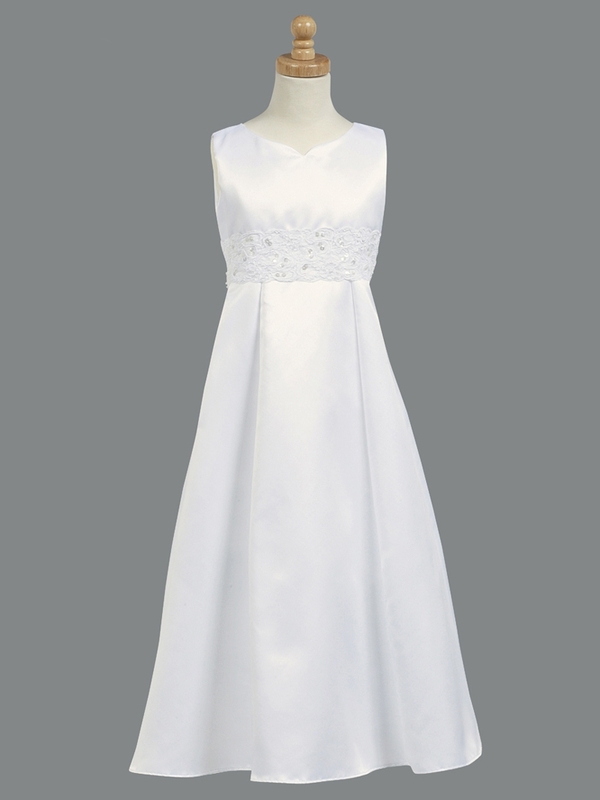 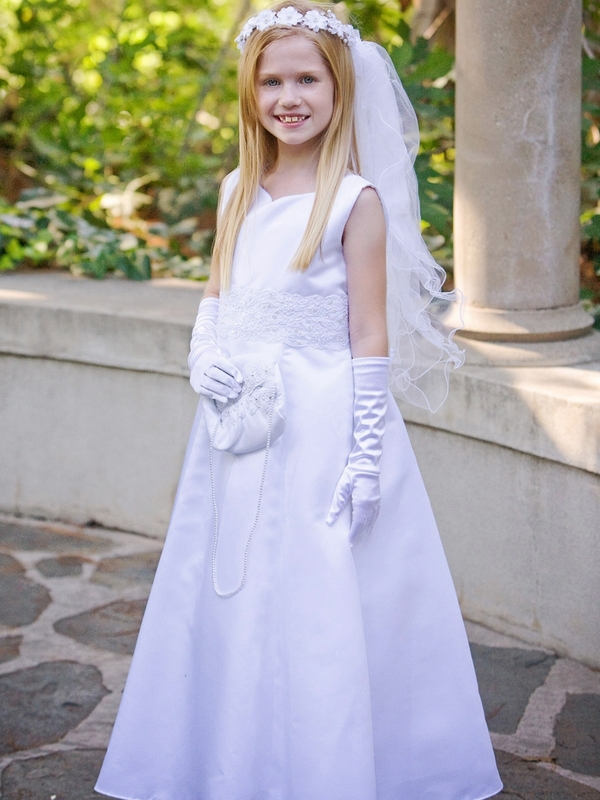 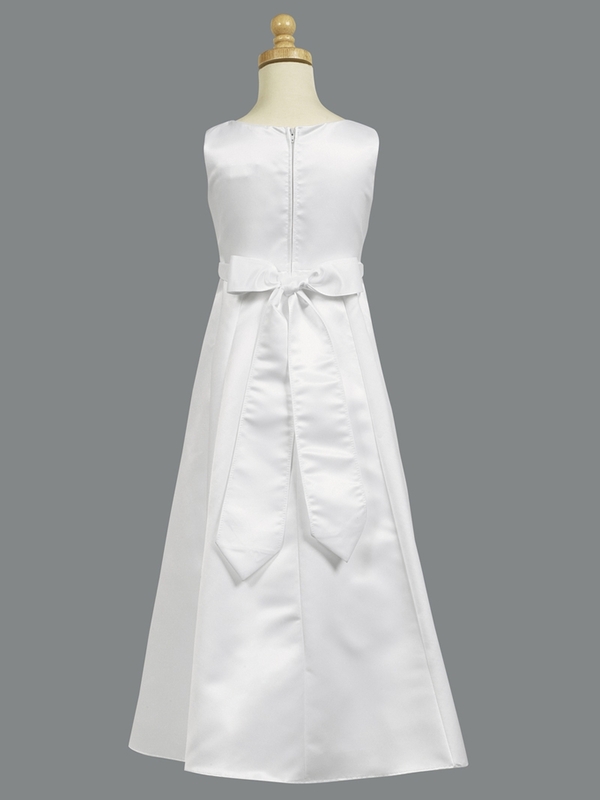 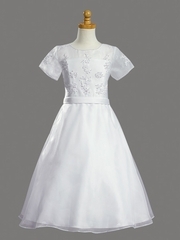 Soft to wear and very well made, it is perfect for First Communion!